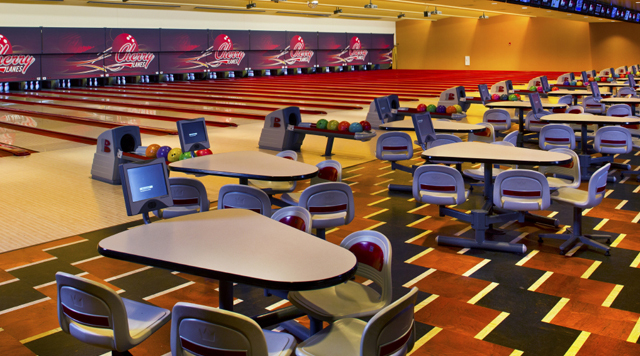 Knock down some pins at Cherry Lanes, the Diamond Jo Casino’s spectacular 30-lane bowling alley. Or reserve Alley Cat VIP Lanes, an ideal intimate setting for your next gathering. Prices do not include holidays. Cosmic Bowling hours are subject to change. Cherry Lanes Pro Shop is your one stop shop for all your bowling accessories! We've got some of the best names in the business. Check out our selection of bowling balls, bags, shoes and apparel from top brands like Brunswick, Storm, Hammer, and more!